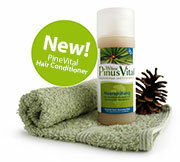 Read the newest reviews about PineFauna at: www.qvcuk.com. A research project supported by the Federal German Ministry of Economy and Technology (AiF Projekt) in cooperation with the “Deutsches Institut für Lebensmitteltechnik e.V.” (German institute for food technology) was brought to a successful conclusion. Natural Hair Conditioner certified by NATRUE are rare on the market. This makes us even more proud of the latest product of the PinusVital Skin and Body Care Series: The first certified Hair Conditioner with precious pine heartwood ingredients. During the days from the 27th till the 29th of November Wilms will present their natural cosmetic products named PineGold for the third time at the Menope 2012 in Dubai. Hundreds of visitors from more than 25 different regions will visit the show, which gives insights on the developments and changes within the market for organic and natural products. Read more about the MENOPE 2012 here. 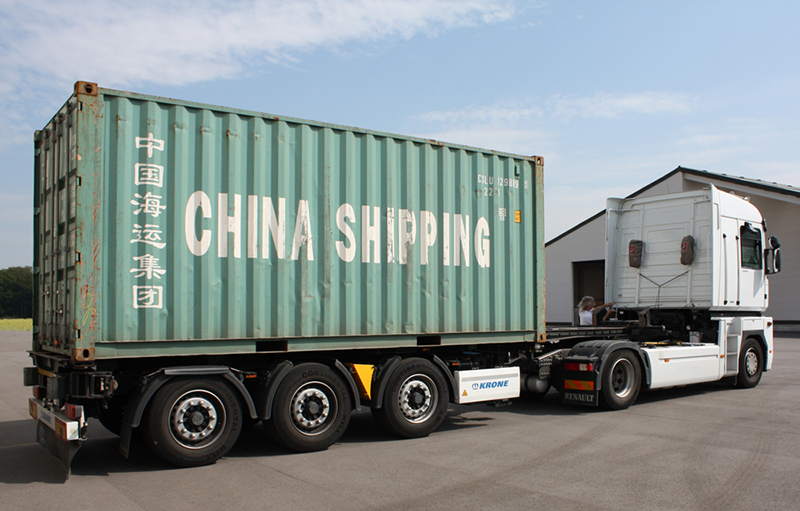 In the beginning of September, the first shipment of HygienicWood Bed Mats to China took place. Also in China, people rely on the power of nature, especially on the sleep-supporting and mite-repelling effects of the Wilms Bed Mat. We wish a healthy and deep sleep on the Bed Mat Comfort. Again, a study demonstrates the harmful influences of Fluoride. Scientists found “clear indications” that Fluoride is highly problematic for the cognitive development of the brain during a child’s development phase. 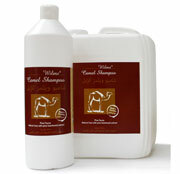 German-born Birgit Maria Kemphues manages the export of the german camel shampoo from Wilms into the UAE. She talked with Katy Watson from BBC about the new organic camel shampoo made from German pine trees. The launch of European products in the Arabian market requires sensitive but close contacts to customers and. This also applies to the Wilms Camel Shampoo. Birgit Kemphues, an expert for establishing business contacts between German and Arabian companies, is in touch with camel breeders and represents the Wilms company. Recently, she gave a BBC interview, reporting about this extraordinary product, camels need for care and her experiences as a German lady living in the Arabian region. Click on the symbol and you hear! During the days of the 5th till the 7th of December Wilms presented their natural cosmetic products named PineGold for the second time at the MENOPE 2011 . . Hundreds of visitors from more than 25 different regions came to see the developments and changes within the market for organic and natural products. Read more about the MENOPE 2011 here. For the first time, the Wilms Company will exhibit its naturally effective products on this year’s “Japan Home & Building Show”. The products will be displayed on a collective booth of various German companies from the 28.09. to the 30.09.2011. The Wilms Company will be supported by ECOS Consult, a company that is actively initiating and promoting economic cooperation and relations between Japan and Germany. Read more about the show www.jma.or.jp. During the Adihex, an International Hunting and Equestrian Exhibition, Al Shibla presented the brand new Wilms Camel Care Series to market experts and camel breeder. A large number of visitors showed great interest in the organic products “Made in Germany”. The show took place from the 14th to the 17th of September. To view some impressions, please Click here. From now on, Wilms products can be bought in Switzerland. The natural products importing company Schnarwiler AG is convinced of the effect of pine heartwood and decided to cooperate with Wilms. “It is great to work with such a professional company on the natural products market. We are happy about our new partner and are looking forward to a long-lasting cooperation!”, says Heinrich Wilms. The Schnarwiler AG imports and distributes natural products for Wellness, Skin Care and Dietary Supplements since 1987. The products are distributed via Schnarwiler’s own Webshop and trading partners spread all over Switzerland. More PinusFauna camel shampoo also by the NDR and in the NOZ. New: Wilms® p+ wash additive! Protection and care for laundry and skin. NEW: PineVital Skin and Body Care is now officially certified as natural cosmetic! Since the beginning of the year, Pine Vital products ran through a tough certification process for natural cosmetics. With success! The naturally effective products are now allowed to be displayed with the internationally known NaTrue Label. More about NATRUE and its strict criteria click here. Company Wilms’ Forest Shower amet with a great deal of interest among visitors at the Exibition Center in Bad Salzuflen from January 14 to 16, 2011. 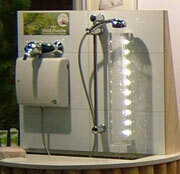 Numerous people came to the stand of Company Wilms to obtain information on – above all – the shower. “A unique and distinctive shower experience”, assures project manager Dipl. Ing. Maik Drechsel. A good 204,000 visitors to the ISH Fair in Frankfurt came to find out about the relevant world-first products at the world’s largest exhibition for sanitary, heating and air conditioning, presented by – among others – Company Wilms. The premiere for the WilmsTeam at this fair focussed primarily on the Forest Shower . The expert audience was amazed at the idea of adding pine ingredients to the shower water. „Inventiveness and original products fascinated professional as well as private visitors,“ said project manager Maik Drechsel, who personally presented his new development at the fair. Read more about the ISH here. The “Kuwait Science Club” invited companies from all over the world to the 3rd "International Invention Fair of the Middle East" . International inventors came together and displayed their ideas to visitors and a jury. It took place from the 7th to the 9th November in Kuwait City. Read more about the IIFME here. The Menope Dubai is the show for natural and organic products in the Middle East. From the 6th to the 8th of December 2010, the show gives an overview on the current situation on the natural products market and shows interesting novelties. On this year’s show, the Wilms Company will show its pine healthcare products for the first time in Dubai. Read more about the Menope here. Company Wilms is not just an ‘also runs’ at this year’s inventor fair iENA in Nuremberg, but is right in the centre of it with its innovative Forest Shower. The Wilms product was selected by the organisation ”bayern design” for their own exhibition area ‘Getting to the heart of design. Promoting innovations – shaping the future”. With the help of the Forest Shower presented there, the visitors are given an understanding of the various steps in the design process – from initial idea to market. For Fair Impressions here. It took nearly three years, to conduct the study. 32 allergic person tested the HygienicWood Bed Mat at home, to analyze its impact on mites, allergic symptoms and wellbeing. The study of German Institute “Hygiene Nord” raises hope! 80% less mites and thus an increasing wellbeing! More on the Hygienic Wood Bed Mat here. Wilms Online-Shop open for international orders! Take a closer look at our pine-heartwood products here. Bronze Received at the Exhibition of Inventions in Geneva! Hygienic Wood for your kitchen, here. Try our products out yourself or give them as a gift! Get the PineVital Care Kit for only 16€ - for a limited time! Do the nourishing properties of pine interest you? Do you want to give a gift that really stands out? Do you want to do something good for yourself? If you answered “yes” to any of these questions, you should order our new PineVital Care Kit right now for our special offer price of 16€ instead of the normal 18,20 €! Buy now! To the offer. Wilms will be exhibiting at “camexpo 2009” in London on the 24th and 25th of October. Only a few months after the Festival of Falconry in Reading (UK), the Wilms Hygienic Wood team again makes its way to England. Destination: camexpo 2009 - an exhibition for complementary and alternative medicine. Over 200 exhibitors including leading authors, associations, practitioners and therapists will be in attendance to present their approaches, services and products. Also planned are interesting seminars and workshops. There’s something at camexpo 2009 for every health conscious person! Now Available: After careful development, our new PineVital toothpaste is now available. In cooperation with Dr. Med. Peter Freyer, we’ve developed the first toothpaste to use the naturally effective ingredients of pine heartwood. 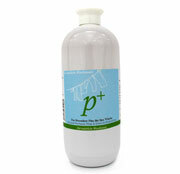 It is soothing, antibacterial and recommended for overall care of the oral flora. More about the new PineVital toothpaste here. At the Festival of Falconry in Reading (UK) on July 11th and 12th, the Wilms Hygienic Wood team presented their new, state of the art falcon aviary. The interest in this aviary and in the scientific research behind it was enormous. Enthusiasts from around the world visited to find out more about the Wilms concept for improving the health and living conditions of falcons. An attack on your skin and mucous membranes! 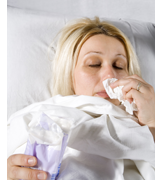 The Influenza A virus is capable of triggering pandemics. Two Gold and Two Silver Medals Won at the World’s Largest Inventor’s Tradeshow! There was considerable interest in Wilms® Hygienic Wood at the Exhibition of Inventions in Geneva. Our Wilms® Hygienic Wood Bed Mat helps not only to assist in deeper sleep, it also relieves symptoms for people with a mite allergy. The fact that the mite population on Hygienic Wood Bed Mats is 98.8% lower has been proven through extensive research. The University of Greifswald conducted product testing which confirms this and also recorded the physical differences shown by the participants. They can now exactly calculate effects on the body’s allergy load. If you are interested in the study, or would like to be a test person, please click here. ... in order to guard against bacteria and other germs. Swiss biologists gave a strain of infectious bacteria to ants and their larvae. The insects with the resin were resistant to the pathogen (Proceedings of the Royal Society B, online). The antibacterial effect of the resin is used by the insects as a natural protection from germs.